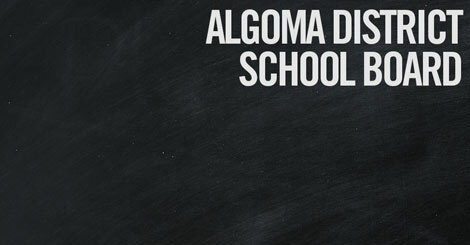 The Algoma District School Board (ADSB) is already a finalist in the GoodLife Kids Foundation National Win 4 Kids contest. For that, the board will receive $5,000 from GoodLife, which will be put to good use in an effort to help children in its K-6 classes stay active, healthy, and ready to learn. The ADSB entered the contest with an initiative called Brain Boosters, a series of exercise DVDs for children, which can be used in the classroom. “The idea behind Brain Boosters is that it’s a simple program where in any classroom, within any lesson, anytime, teachers can put on these quick little DVD clips, designed by Oregon State University through a lot of research,” said Davey Taylor, the ADSB well-being special assignment teacher, speaking to reporters after Tuesday’s ADSB committee of the whole meeting. “Kids need to move, they sit far too long in class,” Taylor said. “They (the DVDs) are designed with a nice mix, some are based on endurance, others on stretching and relaxation, others are designed for strength, there’s a real variety within the DVDs, they are user friendly and for us in the ADSB it helps our students with more movement every day,” Taylor said. “Even if they’re moving at the end of the day through sports and activities, it’s imperative kids are moving throughout the day, and not just in gymnastics or swimming a couple of times a week…we have phys ed and recess, but kids need even more than that, ideally 60 minutes of physical activity a day, so the idea behind Brain Boosters is that we get kids to do that two or three times a day (in class),” Taylor said. Organizations across the country were invited by GoodLife to submit programs, designed to keep kids active, to the contest. Online voting determines which organizations get to be among 10 finalists, which will receive one grand prize of $25,000, three $12,000 prizes, three $8,000 prizes and three $5,000 prizes. So far, voting has gone well for the ADSB Brain Boosters program. “We do know that we will win at least $5,000, which is great…that would allow us to put these DVDS in every classroom right through the district,” Taylor said. “We’re up against some different charity groups all the way from Surrey, B.C. out to the east coast as well, so it’s going to be a challenge, the big thing is social media getting the message out through Twitter and Facebook to try and promote as much voting as we can in the Sault,” Taylor said. Voting goes until 11:59 p.m. March 6, 2015. Winners will be announced March 7, and will receive their prize money, at this year’s Spin4Kids Plus event being held across Canada.